* please note: this article was first featured on my personal blog back on June 10, 2008. It was then requested for use on another crafting blog and appeared there on June 20, 2008. It was written by me for my own blog and therefore I am the author and sole owner of this tutrorial. The Cricut Solutions Shape Storage Binder is a fairly new addition to the Cricut line of products. 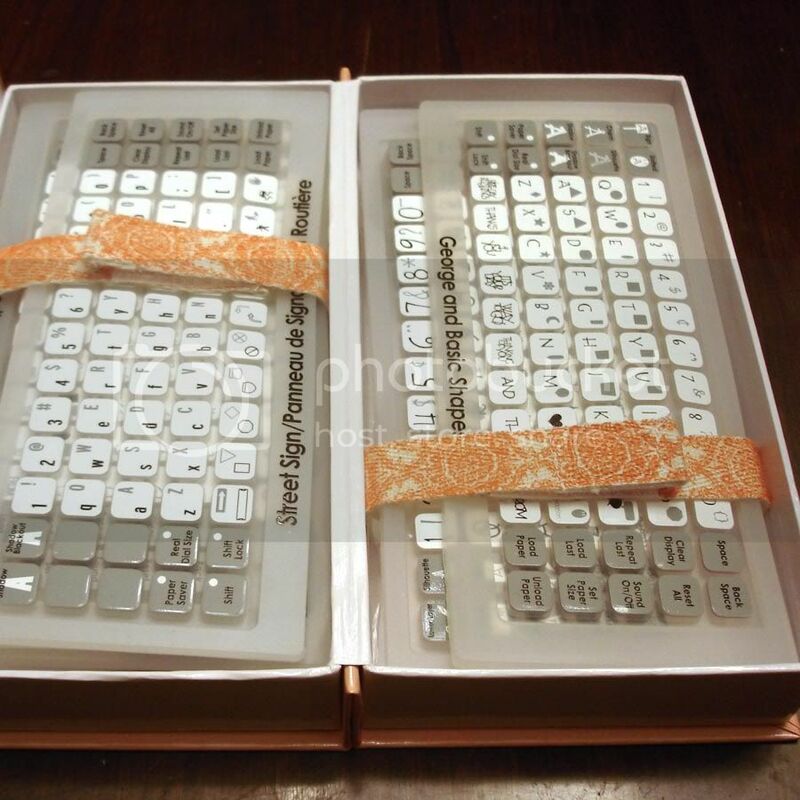 I was very excited to order one, since I have always found lugging around all of the font boxes was very bulky. Seemed like a pretty great product to me. I ordered a storage box almost as soon as they were released and I was extremely disappointed. You know they have some brilliant minds working at ProvoCraft....just look at the Cricut itself! But the genius ends where this storage case was invented. The main problem? It doesn't really hold stuff. And that's important for a storage case don't ya think? The case itself has two sides, each of which is as deep as a traditional Cricut cartridge case. Each side has a plastic insert which holds 4 cartridges and then there is enough space left to store 4 of the cartridge overlays. So, in theory, if you filled it to capacity it should hold 8 cartridges and 8 overlays. Here's where the problems start. This comes with one (yes, just one) green ribbon which you are supposed to use to tie in a little bow to hold the overlays in place when you close the unit. But, if it is filled to capacity, that only holds down one side. And who has time to tie a little bow every time they close this storage case anyway. Not to mention that when you open it, the side without the bow has overlays flying everywhere. Did I mention the little green ribbon is very slippery? Well...it is. Strike 2. Now, you know I am not just going to bash this product without offering a solution for those of you who also purchased this flawed item. As I mourned the loss of my $10 purchase price, I realized I could fix the glaring problems with stuff I had on hand. Step One. 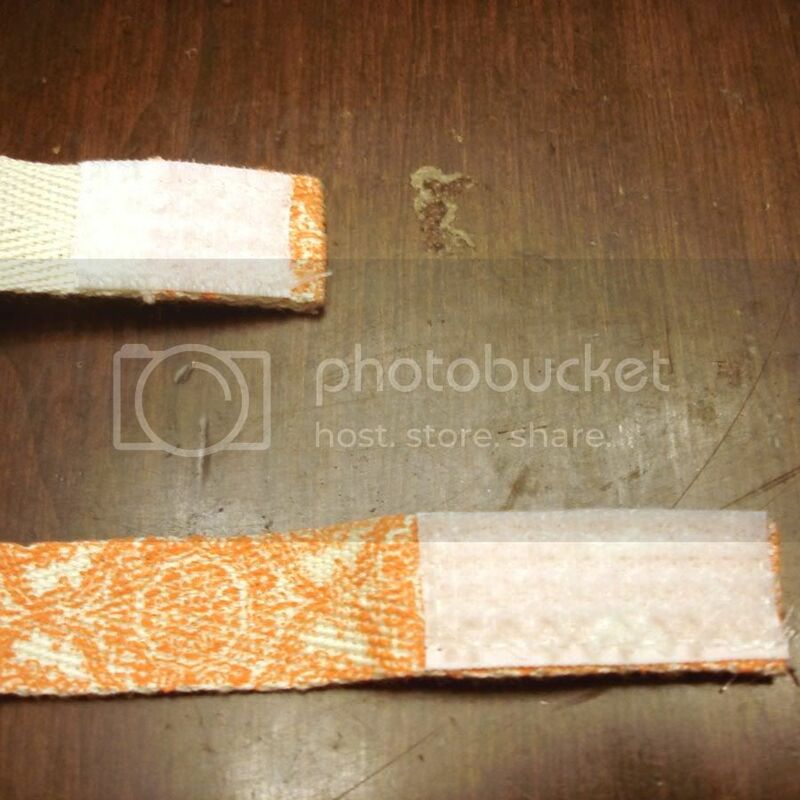 Cut two equal pieces of ribbon measuring 11 inches long each. I used Bohemia Bungalo Twill Ribbon (available for sale here and here) that matched the light orange storage box perfectly. But you could use any ribbon you want. Step Three. 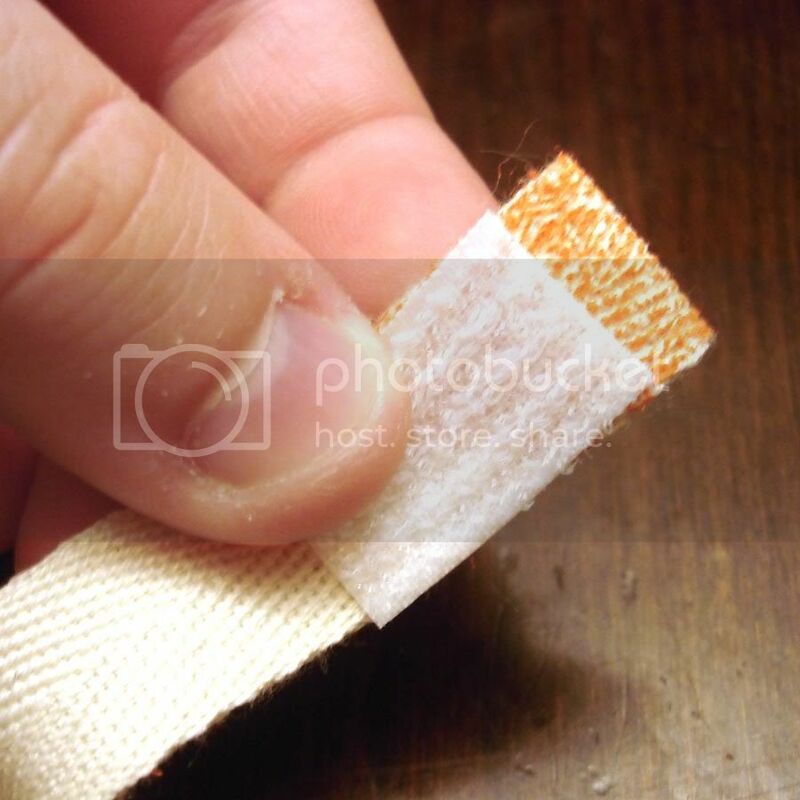 On the opposite end of the ribbon fold down the edge 1/2" with right sides together. 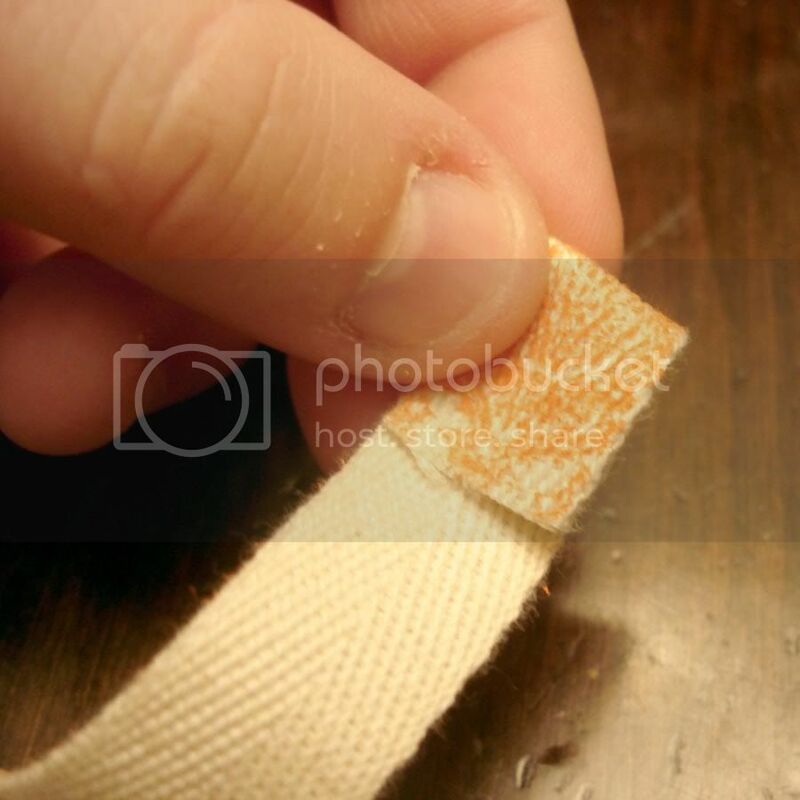 Lay Velcro piece over folded down edge and sew in place with sewing machine. Your finished ribbon should measure about 10" long. Step Four. Remove plastic insert from one side of your storage box. Step Five. Place ribbon face down in box, letting the sides hang over the edges and outside of the box itself. Step Six. Replace plastic insert in the box, making sure the ribbon stays flat in the bottom. Load with cartridges and font overlays. 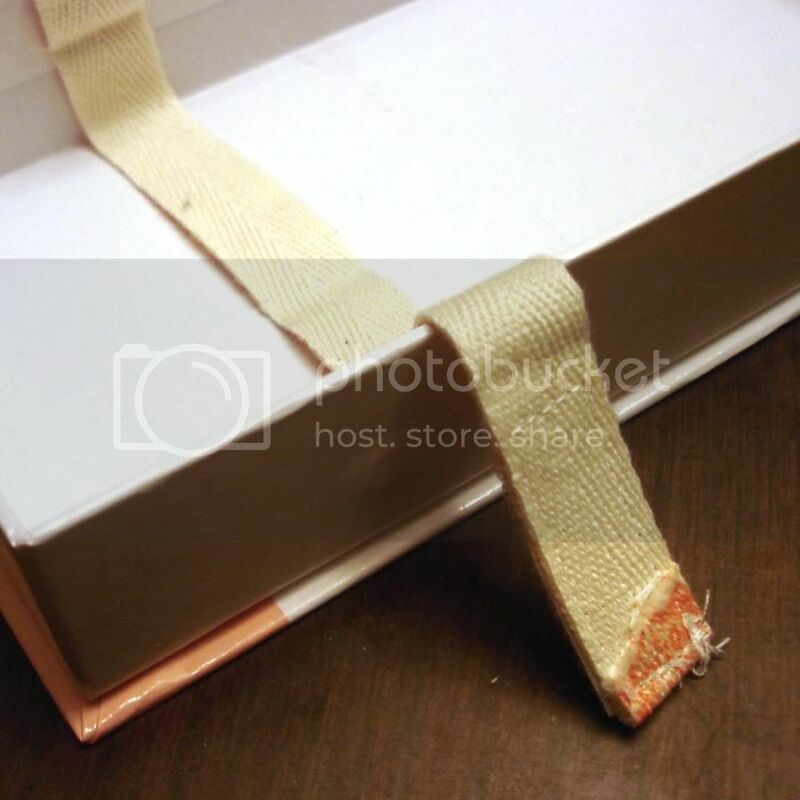 Close by adhering ribbon closed with Velcro. Step Seven. Repeat with other side. But be sure to stagger the placement of your new closures so there is not too much bulk which prevents the box from closing properly. Overall, I found this to be a good solution to the current design flaws of this product. Would I buy another Cricut Storage Binder if I ever exceed 8 cartridges? Heavens NO! I am assured by the head of product development that they are designing a new and better cartridge storage system for release in the near future. - I wish they had a storage system which also held booklets. This is intended for the Cricut cartridges without booklets...so that is not necessarily a fault with this system. The cost of the case was $10 and can be found at creativeexpress.com and at cutncrop.com. 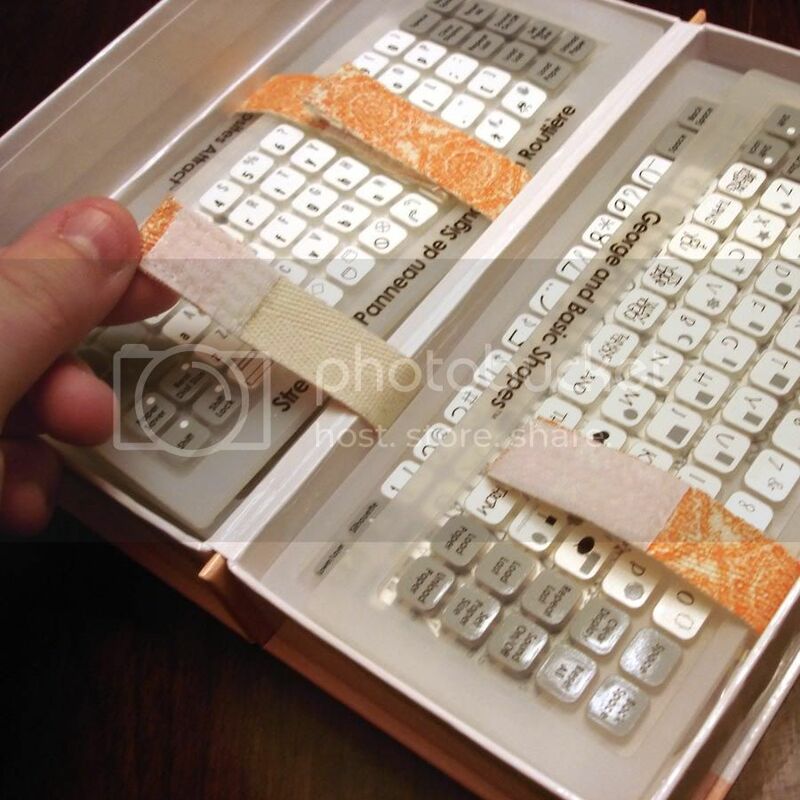 It holds 8 Cricut font cartridges and 8 font overlays. But really, after this review, are you actually going to buy one? What do YOU think? So, think I am too lazy and should have just tied the green ribbon every time? 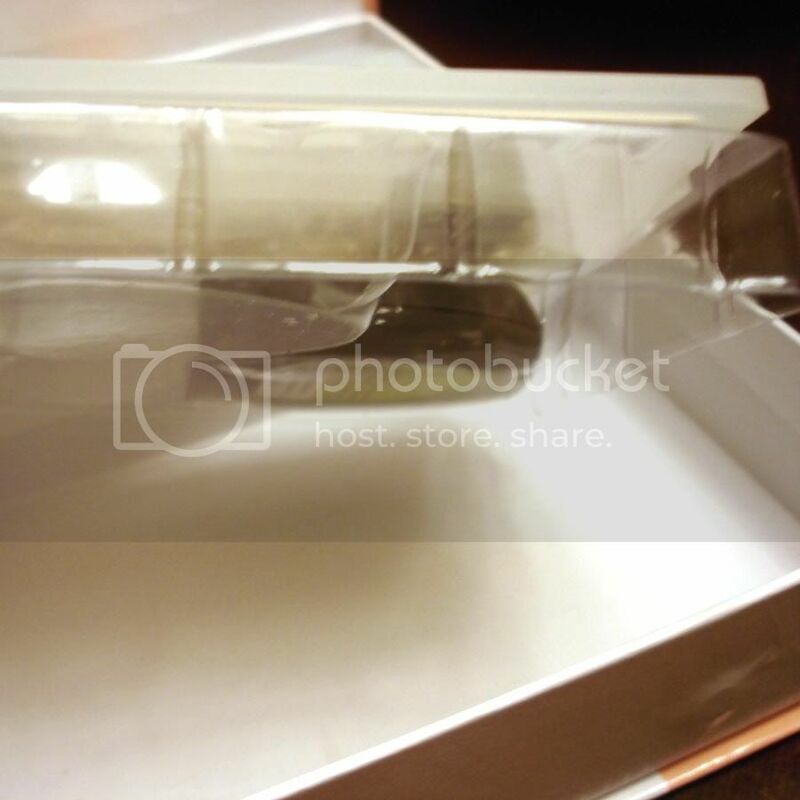 Would you ever purchase the Cricut storage binder? Do you think the above tutorial is too much work for a product that should really work on it's own? I would love your feedback! Thanks for this awesome (and honest) review, and especially for the "fix" to the current product. I don't own a Cricut, but have noodled around about getting one. Definitely wouldn't buy this little non-gem of an accessory - how dumb is the green ribbon idea??? Hopefully their design team will get it together and come up with something that is user friendly and still has a reasonable price. I would never buy it cause I don't ever take my cricut anywhere so it would be a waste of money. How very clever of you! :) What a great solution!! I think they should compensate you for your fabulous idea and put it into production! :) I love your honest reviews...even for something as simple as a $10 storage box. With the economy the way it is, we have to be more and more careful about tossing out our money...even if it does seem like a small amount. So it's good to hear the honest reviews. Thanks a bunch, Emilie!! My Cricut stays in my scraproom so storage/transporting is never an issue. I didn't even know they made such a product. BUT...I'm so happy to see that you all do intend to make this an honest review board. I appreciate that so much. Your mod is fabulous. Thanks! great solution...velcro is so much easier than tying. I don't typically bring my cricut anywhere, but do bring cartridges if someone has a cricut. I just bring mine (as you saw on friday) in the Cricut Jukebox, the books and keypad thingys get stored inside the jukebox. I actually like the jukebox way more than I thought I would. I bought one of these little....ummmm....gems. The good side of that was I bought ONLY one. I have 31 cartridges. Storage is an issue. When I saw the storage boxes my first thought was I could store 8 cartridges in the space it take to store 2. I was going to buy 5 right away (Always plan on room to grow). I resisted and bought one. I used the green ribbon in a different way. 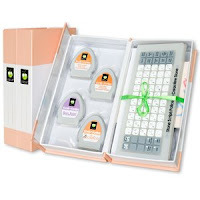 I place the green ribbon in the bottom, then put 4 overlays over the ribbon, then the plastic holder with 4 cartridges. 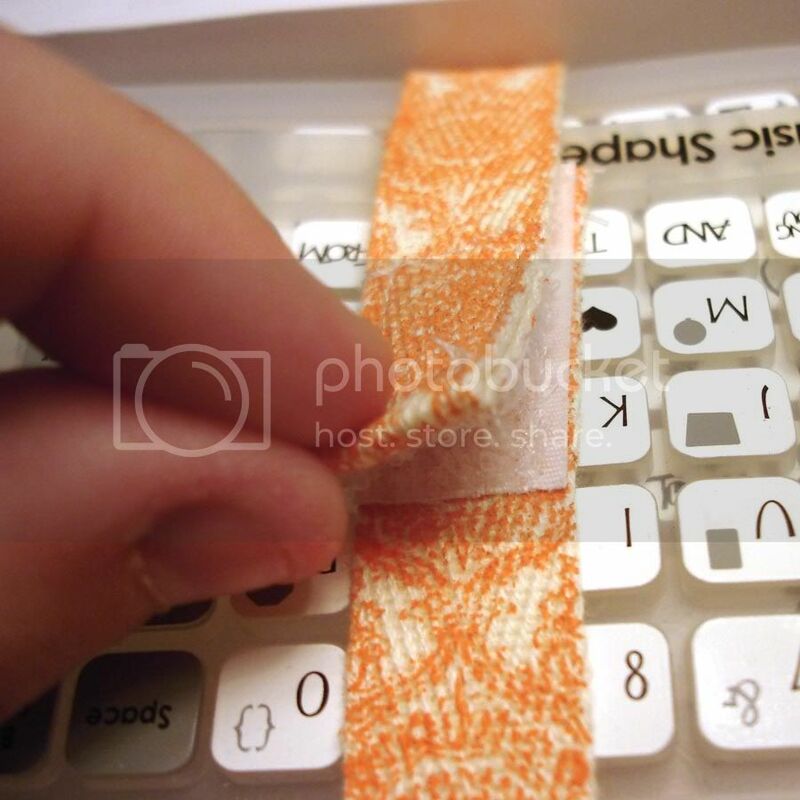 I leave a little tab of ribbon hanging out to use to lift the plastic insert out. KWIM??? Another problem is that this is designed to hold cartridge and overlays, not books. The solutions cartridges don't come with books (Or boxes) so it is ok for solutions cartridges. But as anyone who owns a cricut knows, the books are a necessity. The last thing I need to store my cartridges in one place and my books in another. I won't buy anymore of these storage binders. This was an awesome review! I love that you were so honest. I've seen these, and considered buying one and now i know to hold off until the new and improved version comes out. I will say, however, that I loved your "quick fix" and if I don't like the new version, I could see myself buying this version and altering them like you did. Just hoping the new solution will include storage for the books! Ok I have to disagree, sorry. I run a retreat business so I cart my Cricut all over the place - and I also have a bucketload of cartridges - 32 and counting. I have my Cricut in the rolling green tote. It did not take long for there to be no room for all the cartridges in their original boxes, not to mention the new style that just come in the blister pack. So I bought the binders. I love them. I have 4 of them - and each one is full - 8 cartridges each. I never used the ribbon - actually did not even try to tie it once (confession did not even think it was there to tie the overlays in place). All my boxes stay closed fine. It protects the cartridge and the overlay. Hmmm...I will have to say that I will wait until the newer one comes out. I have to say though, Emilie, that I love your solution! I only have 3 cartridges, I keep them in the boxes they came in. My Cricut is not my favorite and I won't buy anything for it I don't have to. I was really interested in this until your review! Thanks for saving me the money! Thank you for your honesty. I don't travel with my cricut, but it's good information to have. I agree with you: Provo has some great people working for them. Too bad they missed the boat on this one. I keep my cricut at home as well. However, your solution is a great one. i loved your velcro solution. brilliant! I don't own a Cricut so I can't really provide feedback except to say that if I did then I would have found the tutorial a big help! This is just the sort of thing I was hoping for from this site. Even for $7.50 I won't be buying them. I don't need one yet so I'll want until they redesign or I can make something myself. Awesome review...keep those tips coming!!! Love the blog so far!!! I like mine, and I would buy them again to save having to haul 12 boxes around with me. BUT ... I wish I had known they were coming out with something better before I recently bought my second box. Thanks for the awesome photos and the great solution. I hope you make a million bucks on your idea - call Provo ASAP! :) Thanks for the review. I love your honest review! I recetly used a friend's cartridges which she had stored in these and I thought the same thing. Not really user frinedly, and I would have been lost without the books for some of the carts-like Disney ones. Hopefully PC reads this and gives you some credit for your ideas! this is a recycled review from Craft Critique. I would expect more from a brand new site! I agree with your review. However I think it is more though for the Solutions cartridge which do not come with the boxes anyway. Also those ones do not have the big booklet so it probably fits the 8 cartridges. I think is more of a marketing issue (sold for regular cartridges) rather than a product design issue. I hadn't planned on buying one, but I WON'T now! Thanks! So glad I read this~! I just got a Cricut machine and have only 2 cartridges so far, but thought about buying the storage case for future use. Now I will wait until they come up with something better. Thanks! Thank-you! I was going to buy one of these and now I won't. Your solution was great and I love all the pictures. I am one of those people who learns from pictures :) I will wait for the new one to come out and then wait for you to review it! Your opinion matches mine. The green ribbon (yuck) on one side only had me scratching my head. I love your brilliant solution to that, tho --thanks for sharing! I *do* like the tidy space-saving aspect of these boxes. I had already abandoned the original boxes and was storing my overlays and cartridges in non-elegant zip-loc baggies in a train case (at least the case was cute -lol!) Now I have two of these storage boxes in the train case and except for the ribbon issue and not having room for the books, it is working for me. I don't really have need for the books (exc Graphically Speaking), so I'm okay with the current situation. I'll be better once I add some twill and velcro tho. That magnet part worries me... wouldn't the magnet eventually erase the carts? I don't think I'd store my carts in there, or at least remove the magnet first. Like Chrispea said, I do worry about the magnet.. I have had magnet wreek havoc on othe electronic stuff. I do worry about that!! This is why I have a Silhouette. No need to store anything ever. "All content; including text, photographs, and concept design works are ©Craft Critique unless otherwise noted. Articles or photos may not be copied for the purpose of print or online publication or distribution without expressed consent of Craft Critique." I bought a case at Mike's that holds over 30 carts, books and key overlays. Love it! !